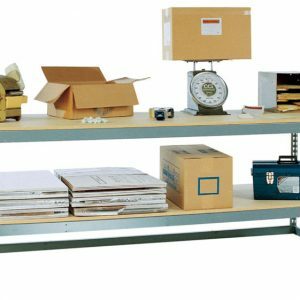 Leg in corners workbench covered in the heaviest grade laminate available today. Different options of finishing according with client specifications. 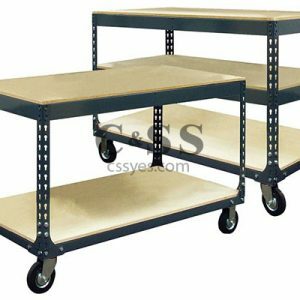 Select these work benches where delicate electronics could be damaged by static charges. 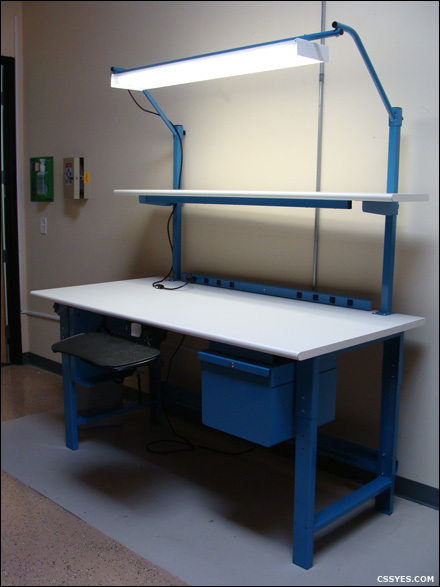 Class 100 rated clean room tables have laminate covering the top and bottom. Standard Formica has no problems with household chemicals. 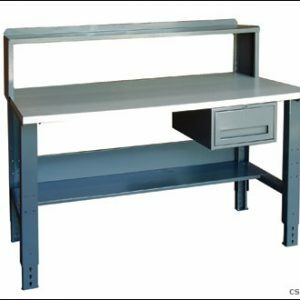 This work bench withstands stronger chemicals as well. 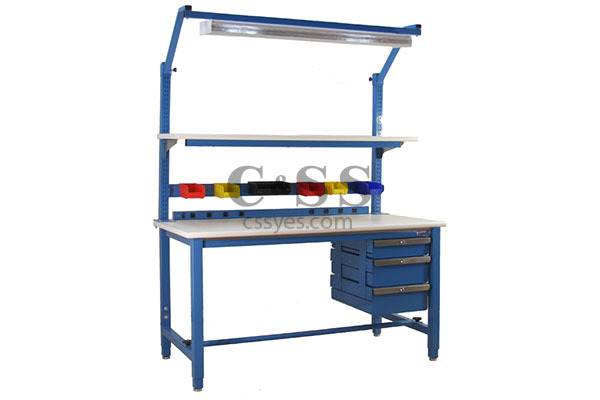 Clean room laminated industrial workbenches. Nevamar brand laminates are known for their hard aluminum oxide coating which reduces or eliminates most scratches and/or wear. 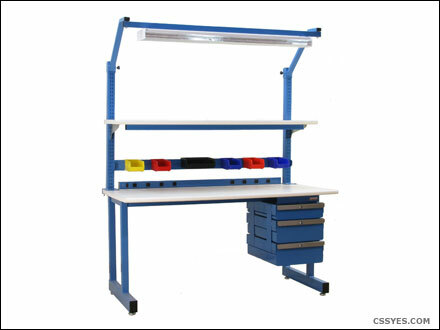 Lights, power outlet and keyboard tray are just a few accessories that can be integrated in your workbench.